Top 25 Polki Diamond Jewellery Designs Worn By Our Real Brides! We all know that picking out the perfect jewellery for your wedding day can be a little lot strenuous. Especially when bridal jewellery is such an important part of any wedding outfit. In fact, people spend more on acquiring that perfect diamond set than they do anything else; even the lehenga. And we’re sure that right now, with wedding season going on, tons of brides are out there hunting for the perfect ornaments! So we thought we should make all of that struggle a little easier by giving you a little inspiration from our real brides who wore Polki diamond jewellery to their weddings. Because hey, nothing beats Polki diamonds in their raw heritage beauty! All of that sparkling beauty and brilliant photography combined needs to be at one, easily-accessible place for our brides-to-be to get all the inspo that they want. 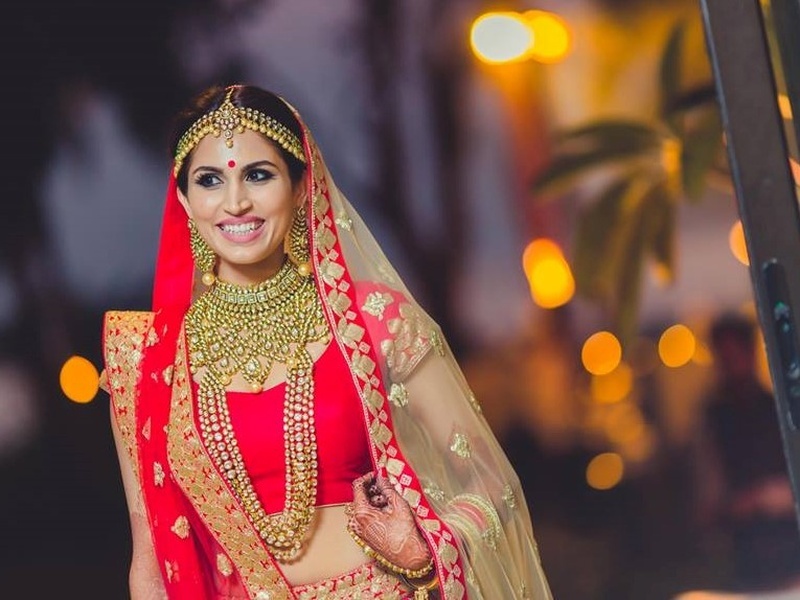 So going through tons of Indian bridal jewellery and wedding photography, we made a list of 25 of our top real wedding brides who took our breaths away with their gorgeous Polki bridal jewellery sets. Man, those diamonds seem to worth every penny! Keep scrolling for the fabulous visuals! Also, click here for a guide to all you need to know about Polki bridal jewellery. Click here for some fab groomswear accessory ideas!